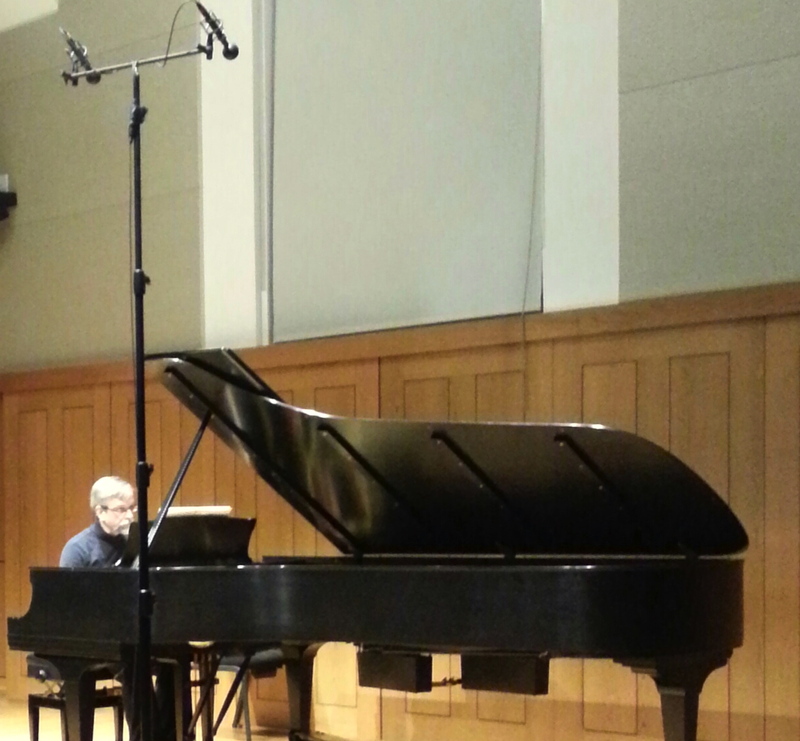 There was an exceptionally warm and focused audience at last night’s recital at Penn. 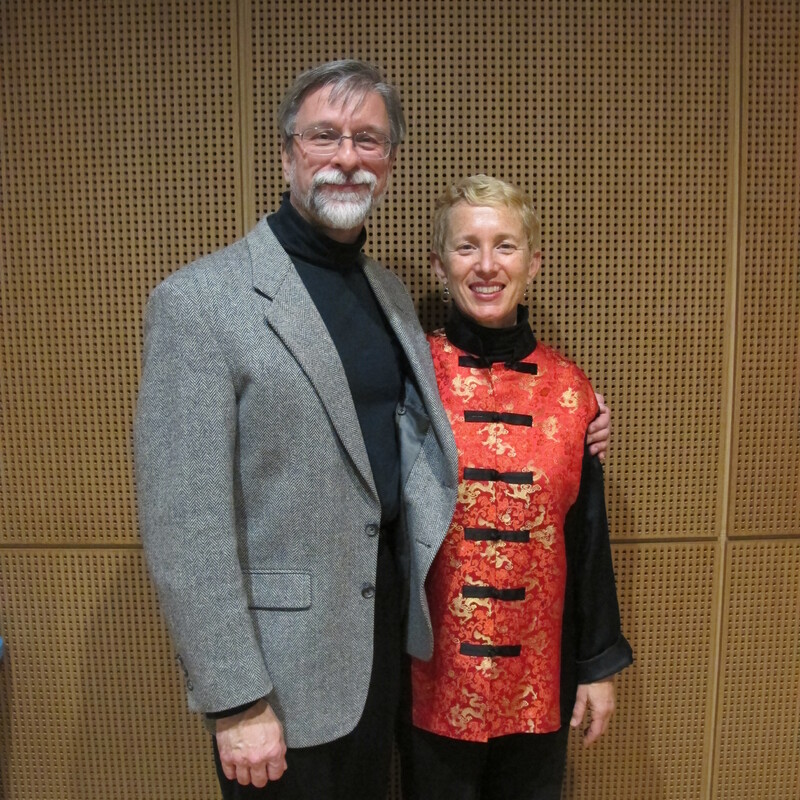 Linda Reichert and I offered an all-American program that bound together various programming threads – besides the American angle, there were three Philadelphia composers (Primosch, Levinson, and Persichetti); we heard French musical thought filtered through American voices (Levinson, Copland); and experienced the contrast of stream of consciousness (Persichetti) and aphoristic (Harbison) modes of expression. I thought Linda did a great job on my Pure Contraption, Absolute Gift, with the slow movement called “Nocturnal Obsessions” being a highlight: subtly pedaled, exquisitely balanced (on a not terribly friendly piano), full of atmosphere and Chopin-esque languor. It was a thrill for me to share the Copland Sonata with my listeners, especially such attentive ones – there was a nearly uncanny quiet in the room during the very soft passages in the finale of the Copland. The piece has its technical challenges, but it is not as pianistically difficult as some of the other great American sonatas (including Barber, Ives, Carter, Rochberg, Wernick, Harbison…). However, I find the emotional intensity of the Copland draining, intense in both its breadth and depth of feeling. The short movements of the Harbison – wry, cryptic, droll, graceful, brusque – offered a welcome contrast with the high drama of Copland’s long-lined narrative.